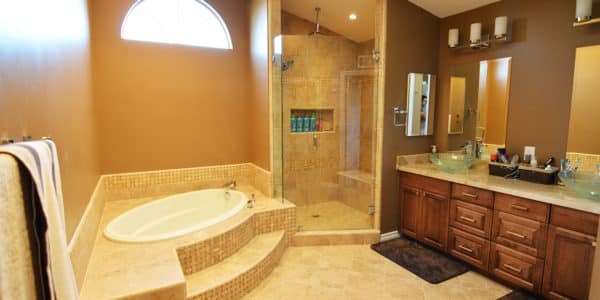 This warm bathroom remodel has a ceramic 9×12 on the shower walls going all the way to the ceiling. Out of the ceiling it has a rain shower head. 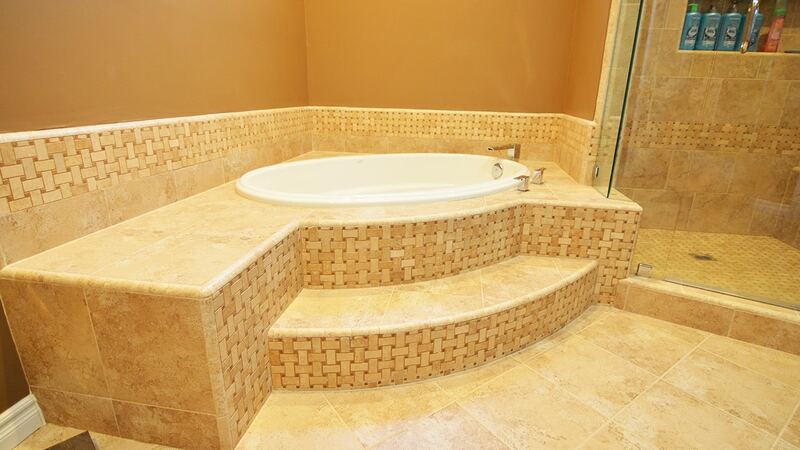 The shower is also endowed with a seat and extra wide niche to accommodate a plethora of products. 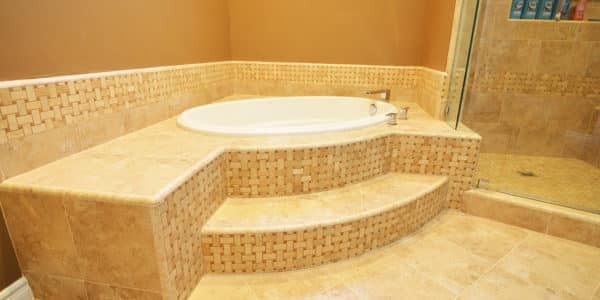 The tub, splash and step face is tiled in a basket-weave stone mosaic. 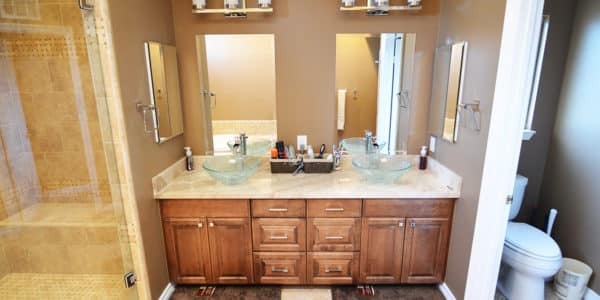 The floors are a matching 13×13 set diagonal and the cabinet has a warm pecan stain which complements both the floor and the Diano Reale marble countertop. 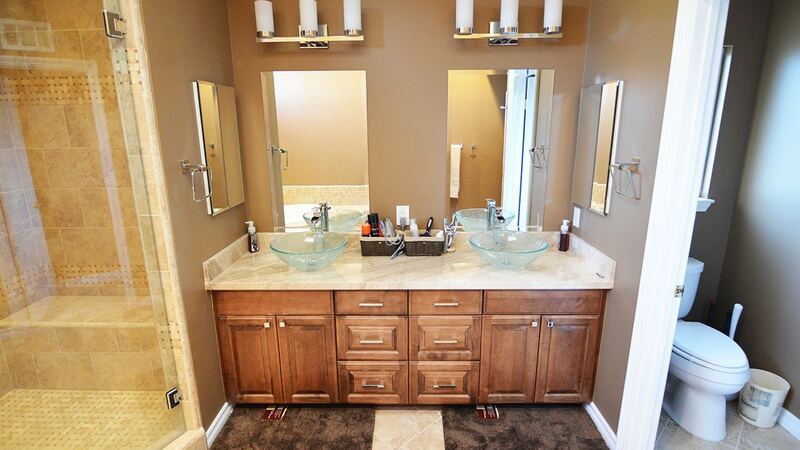 The guest bathroom has a stone vessel sink and shower accents to dress up the space.